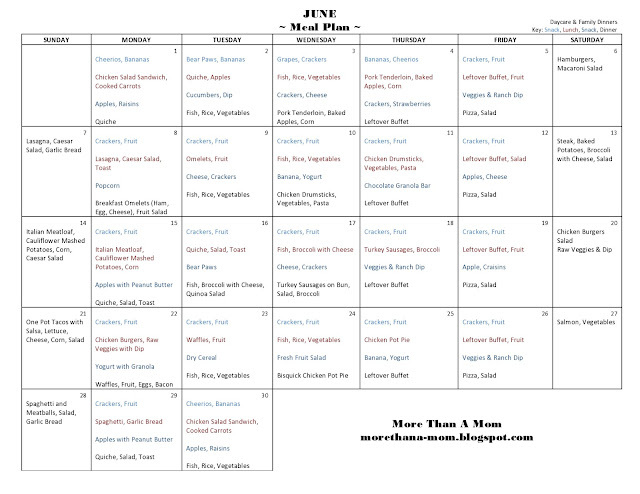 Enjoy this monthly menu plan. I have a home daycare so the day snacks and lunches are leftovers from our dinners and toddler friendly. Do you make a menu plan?